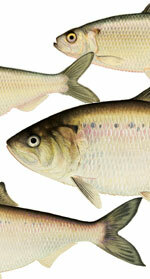 Riverkeeper commended the New York City Council for passing Int. 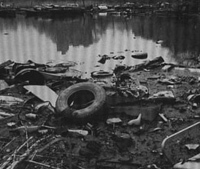 53-A, a bill which will increase transparency and strengthen enforcement against illegal dumping in New York City’s waterfronts. The bill will require the Department of Environmental Protection, Department of Sanitation, and Department of Small Business Services to coordinate enforcement efforts through a formal plan and to issue a biennial report detailing the implementation of the coordinated plan. 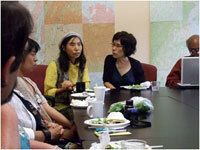 Riverkeeper was proud host to a Japanese delegation, including a farmer and her two teenaged children from the Fukushima region. They shared first-hand accounts of the impact of the nuclear disaster on their lives and listened to what is being done in the battle to shut down Indian Point. Prior to arriving at the Riverkeeper office, the delegation appealed to the UN High Commission on Human Rights to recognize and address the plight of children in the Fukushima region. The farming family asked specifically to meet with local organizations who are working to close Indian Point and traveled half way across the world to plead with us not to let what happened in Fukushima happen here. The DRBC has scheduled a special meeting from 10:00 am to 12 pm on October 21, 2011 at the War Memorial in Trenton, NJ to “consider adoption of the regulations”, which would lift the current moratorium on gas drilling in the Delaware River Basin. This would allow fracking to begin in areas of the Basin where the state has given the go ahead (Pennsylvania currently allows fracking; New York will not allow fracking at least until the completion of its fracking environmental impact statement). The DRBC gas drilling regulations would pose a major threat to the New York City Watershed, as the Basin area currently provides 50 percent of the clean, unfiltered drinking water that nine million New Yorkers depend on daily. Please join us at the steps of the War Memorial at 7:30 am to line up for the hearing. There will be more details on logistics of this event so please check our website for updates. Riverkeeper invites you to attend a conversation on Thursday, October 13, in New York City on our campaign to close the Indian Point nuclear power plant. Our guest speaker will be Hamilton Fish, publisher of the Washington Spectator, president of the Public Concern Foundation, and former publisher of the Nation magazine. We will discuss Riverkeeper’s work to prevent the relicensing of Indian Point to operate for another 20 years, as we head toward critically important federal and state hearings on the fate of the plant. All proceeds will support Riverkeeper’s Indian Point Campaign. Whole Foods Market, the world’s leading natural and organic foods supermarket and America’s first nationally certified organic grocer, will open the doors to its Yonkers store on Wednesday, October 19 at 9 am. The new location will open with a traditional bread breaking ceremony. Opening day will be celebrated with tastings, vendor sampling, special sale items, a limited number of signed copies of Robert F. Kennedy’s book, the Riverkeepers and more. 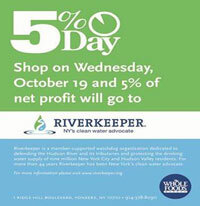 Plus, 5 percent of the total sales from opening day will be donated to Riverkeeper! Join us on the 19th! Riverkeeper thanks the New York Architects’ Regatta Foundation for making us a beneficiary of the 11th annual New York Architects’ Regatta Challenge, held on September 15th. 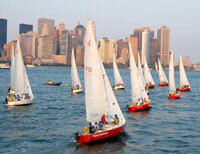 We are delighted to be a not-for-profit partner in this event that celebrates sailing on the Hudson. Sponsorship proceeds from the event will support Riverkeeper’s work to protect the Hudson River and its tributaries, and the New York City Watershed which supplies drinking water to nine million New Yorkers. Special thanks to Dan Frisch at Daniel Frisch Architecture and Dan Allen at Allen + Killcoyne Architects for bringing this partnership to Riverkeeper.